Ford took the world by surprise with the Mustang in early 1964, but its new, two-door pony car wasn’t a new concept. The idea goes back to 1960, when Ford wanted to create a compact sports roadster that would challenge the Chevrolet Corvette and british cars from MG and Sunbeam. Ford also wanted a design that would spawn a race car for the SCCA Class G.
Several concepts were drawn, but only very few were built into fully functional or rolling concept cars. The most intriguing of them all was the Mustang I Concept, penned by Troutman and Barnes of Los Angeles and brought to life in 1962. It was also the first concept car to bear the name Mustang as a tribute to the famous World War II fighter plane. Compared to previous Ford products, the Mustang I was quite radical in both appearance and under the hood. More compact than any other sports-oriented vehicle Ford has built until 1962, the Mustang I also made use of a brand-new styling language. It had a low-slung body with wedge-shaped front and rear ends, a low race-inspired windscreen, and a big rollover hoop behind the seats. Its pop-up headlamps added to the exotic factor, but what made it truly intriguing were the air vents aft of the doors. This then-strange feature was related to the concept’s mid-engined layout, a never-before-seen configuration for road cars. Although many carmakers made use of the mid-engine layout on the race track, the world had yet to see it in road-going vehicles. 1962 actually saw ATS, a small company founded by previous Ferrari employees, launch the first production model to use the layout, but it wasn’t until the Lamborghini Miura’s introduction in 1966 that the idea gained traction. The engine was also unusual for a sports car back then, with Ford opting to use a 1.5-liter V4 that the company’s German subsidiary developed for the European-spec Taunus 12M. Even though small and not exactly powerful at 109 horsepower, it was suitable for the steel frame made out of one-inch tubing due to its reduced weight. The light drivetrain and chassis were complemented by an aluminum body, which helped the Mustang I tip the scales at only 1,544 pounds. For reference, the Corvette Grand Sport race car that Chevy launched the same year weighed 1,900 pounds. The Mustang I made its debut at the United States Grand Prix in Watkins Glen, on October 7, 1962, where it was driven around the track by Formula One driver Dan Gurney. 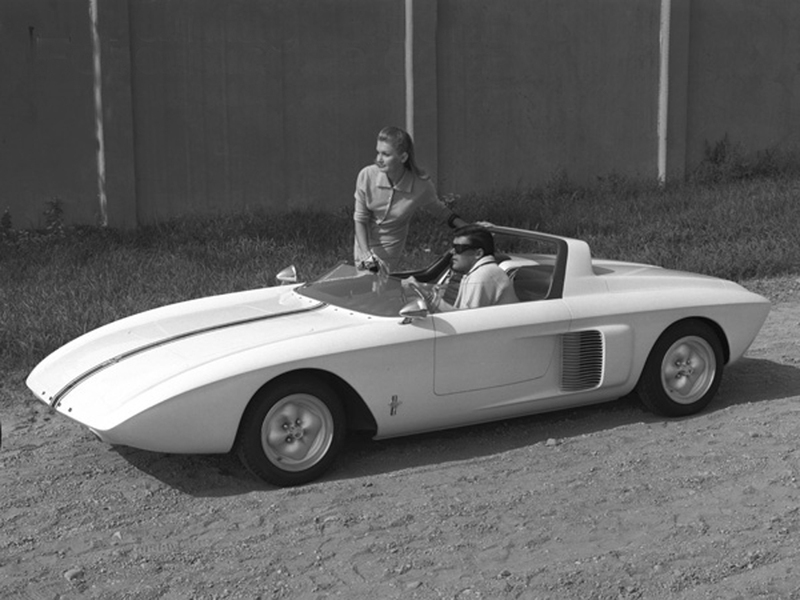 The concept’s appearance on the race track and Gurney’s report that he had driven it up to 120 mph caused sensation and spawned numerous media reports that Ford was out to develop a competitor for the Corvette. The concept continued to appear at car shows, but it soon became clear that FoMoCo wasn’t planning on turning it into a production model. 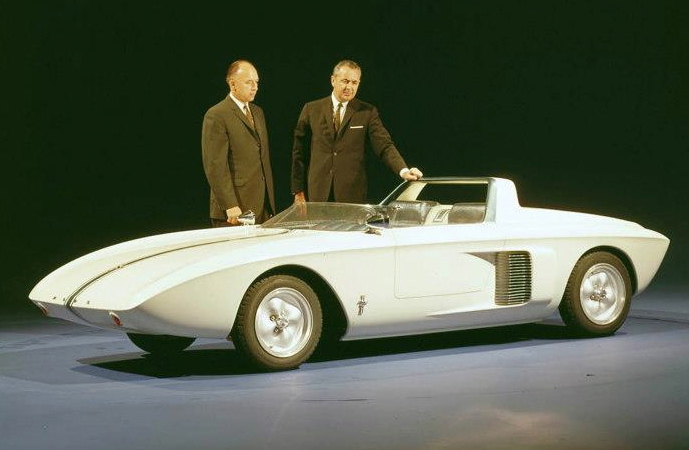 A completely new concept, dubbed Mustang II, was shown in 1963 to point out the actual direction Ford was heading to. This vehicle had its engine in the front, a four-seat interior, and styling cues closer to the production Mustang that arrived in March 1964. But despite not being as spectacular and radical as the Mustang I concept, the pony car still made the headlines throughout 1964 and became one of Ford’s most popular model over the next few years and one of America’s most iconic cars. More than 50 years have passed and one question remains: should’ve Ford built the Mustang I concept? As a gearhead, I would have to say “yes,” but not as a Mustang. Besides being too complex for regular production back in 1962, the concept would’ve probably been way to expensive for the average Joe. You see, the Mustang became popular because it was also affordable. An expensive sticker would have turned it into a slow-selling car that probably wouldn’t have made it past the 1973 oil crisis. All told, while I definitely wish the Mustang I would have raced against the Corvette in the 1960s, I’m definitely glad the Mustang came off the production line with a front-engine layout and four seats. Not to mention that Ford’s efforts to build a mid-engined supercar didn’t stop there. Just a couple of years later, Ford and Carroll Shelby came up with the Ford GT40, a car that not only won races, but did so while defeating Ferrari. What are your thoughts on the Mustang 1 Concept? Comment below and let us know!